Puddle Ducks - Evelyn's first swimming lesson. Evelyn loves water! Ever since she has been a tiny baby she has loved bath time and I regularly take her to our local swimming pool for a splash around. 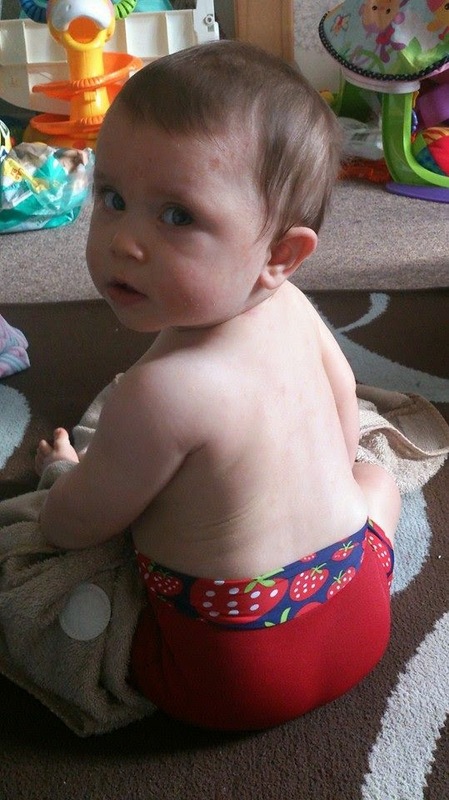 So when we were recently contacted by Puddle Ducks with the offer of some swimming lessons I knew they were something Evelyn would really enjoy! Our first impressions of the pool were that it was a little tricky to find. The pool is set within a school/ library setting and there are no real signs from the road for the pool or the lessons. It would have been lovely to see a Puddle Ducks sign to the outside of the pool just to indicate to parents where lessons were for people who were new. The changing rooms were separate for male and female and open plan meaning there are no cubicles although this will of course be different for each pool, I also only found one baby changing table which was a little tricky with 8 babies all trying to get ready for the swimming lesson. However once we reached the pool we were greeted by the lovely Jen who was setting up ready for the lesson. She was warm, friendly and said hello to all the parents and babies as they came to the pool side. As it was the start of a new term and the first lesson with Puddle Ducks for some people Jen went through some safety guidelines and then we got in to the pool. There were 8 other parents with their babies in the class + the teacher and I loved the fact the class was small and personal. We gathered in a large circle and Jenny taught us some techniques to get the babies splashing, kicking and preparing them to go under water. I found these really useful and they are simple techniques that can easily be practiced out of class, in the bath or if you take your baby swimming yourself. The class incorporated songs with fun and simple techniques and actions which made the whole lesson fun and enjoyable for the babies. The main focus of the Puddle Ducks swimming lessons seems to be to make sure your child is confident and capable in the water which is exactly how I want Evelyn to feel! 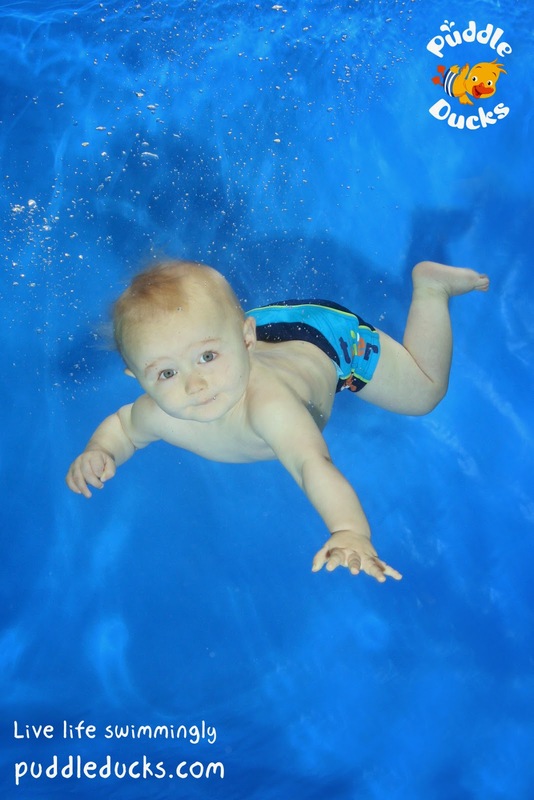 The lessons are priced at £13.50 per 30 minutes which is a more than some other swimming lessons, however with Puddle Ducks the classes are kept small meaning you and your child get lots of swimming time and interaction with the teacher. There are also lots of swimming aids and toys such as rubber ducks used which you don't often find with swimming lessons, the toys definitely gave theses lessons the fun factor for Evelyn! Overall we really enjoyed our first lesson with Puddle Ducks and can't wait to go back to our next lesson on Sunday! Do your little ones attend swimming lessons or have you thought about swimming lessons? I thoroughly enjoyed taking all my four swimming, although it was more difficult with the twins! Although I don't think a class is any better than taking a baby swimming yourself in terms of teaching swimming, it's the perfect way to commit to going swimming regularly, and is a much nicer environment for parents with other adults to interact with. I remember being on holiday each time we took our children swimming for the first time and they both loved it. I love these underwater pictures they look amazing and what confidence they have! It's nice to be able to have a small group when you have a little one otherwise things can get quite chaotic. I think it's so important to have a small group - it can really help them to feel more comfortable in the water. I love the udnerwater photo!